The field of physics is an exciting window into the creativity and wisdom of God in the world. In BJU’s physics program you’ll explore what matter and energy are, and how they act and react under various conditions. You’ll learn how to think like a scientist, how to ask the right questions, and how to explore the answers using the scientific method. You’ll even participate in research so you’ll have a head start on graduate school. Most importantly, you’ll learn how the discipline of physics is a gift of God and why it is an important pursuit for His people. As you learn more about the rules that govern the universe and the intricate connections of matter and energy, you’ll grow in appreciation and worship for the Creator and Sustainer of all things. Physics is an incredibly broad field of study with many career options, such as medical physics, astrophysics, meteorology, engineering, research science and quantitative analysis. In BJU’s physics program, you’ll build a solid foundation in both classical and modern physics that will prepare you for specialized graduate studies. You’ll study important concepts in the classroom, including the laws of motion, optics, relativity and quantum mechanics. In addition, you’ll have regular hands-on laboratory classes where you can test what you learn in the classroom. You’ll learn how experiments work, how to formulate your own hypotheses, and how to test them using the scientific method. You’ll also study subjects such as chemistry and mathematics that will help you understand physics even more fully. You’ll build a working knowledge of foundational concepts, including differential equations, vector analysis, and the properties of elements and molecules. For your capstone project, you’ll research and write a publishable journal article, and your professors will even encourage you to seek publication in a scientific journal and give you advice along the way. The BJU Core will further prepare you to excel in what God has for your future, both in your career and in your personal life. Courses in English and psychology will improve your skills in communication and connecting with others. Other courses, such as history and fine arts courses, will improve your analytical and critical thinking skills. Each course in the BJU Core will help you more effectively present your ideas and research to the physics community, whether in writing or in speaking. In addition, your Bible courses will help you connect God’s truth to the world around you, so you’ll be able, as Jesus did during His ministry, to make biblical truths understandable to people from a wide variety of backgrounds. And you’ll learn how your work ethic itself can be an effective way to reflect God and His glory. 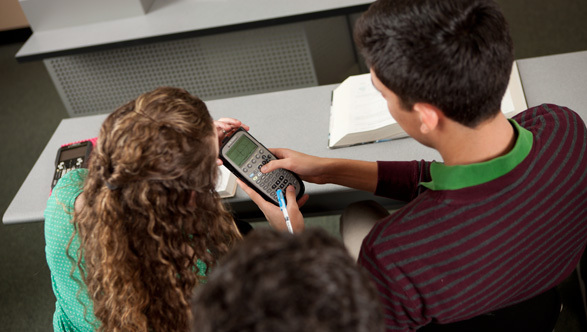 Physics is a highly specialized program with most of your electives being part of the BJU Core. A few elective courses within the program allow you to focus on certain areas of the physics field, such as astronomy or circuit analysis. If you would like to take additional electives, you can explore taking classes over the summer through BJUOnline. In addition to the physics program’s research course and emphasis on preparing you for graduate work, you’ll have the opportunity to apply for REU. Each summer BJU sophomores and juniors may apply for REU, which is sponsored by the National Science Foundation (NSF). The NSF is made up of research universities and government labs across the country that offer summer internships to qualified students. These internships vary widely, and prepare you for graduate school through practical experiences that can be invaluable for your career. There are a number of different groups outside of BJU that you can be involved in during your time at BJU. They’ll help you make professional contacts and learn about your field as you connect with experienced physicists and fellow students across the world. The physics facilities at BJU are designed to prepare you in the fields of your interest, beyond what you’ll learn in the classroom. Each area gives you invaluable experience learning to use and master essential equipment in various fields of physics. As an upper-level physics student, you may opt to use the X-ray diffractometer or electron microscope for research. Because each of these is a tool that can take hours to set up, they help you appreciate how much detail it takes to properly prepare them. In addition, they’ll give you experience learning how to follow safety guidelines and careful instructions as you gain experience planning, setting up and executing complex experiments. 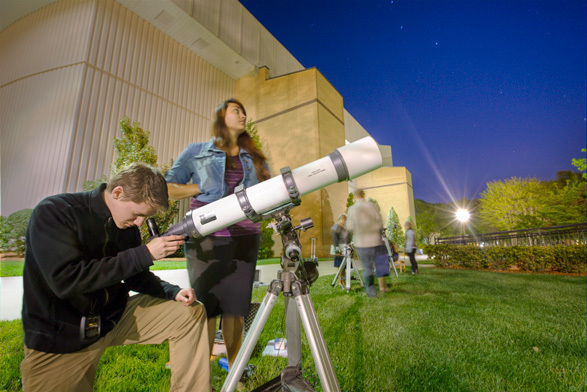 During your 2 semesters of astronomy, you’ll meet for class in the planetarium. The planetarium will help you to better understand what you learn from your textbooks and will give you experience identifying and studying the heavens. Our observatory is a great tool for students who are interested in pursuing a career in astronomy or related fields. If you choose to use the observatory for research, you’ll learn how to prepare the telescope for observation and how to use the computer systems to track and photograph heavenly bodies. Each of your professors are highly qualified and actively involved in their fields and in the lives of their students. They care about you and want you to succeed, so they go beyond teaching in the classroom and connect you with professional organizations. They are alert to opportunities that will help you master the skills you’ll need for your career. Apply core physics principles to problem solving. Conduct experiments and analyze and interpret results with respect to physical principles. Apply mathematical knowledge to solutions of problems. Composereports that communicate results drawn from data analysis. Conduct an oral presentation on a scientific topic. Analyze scientific results in terms of a biblical worldview.